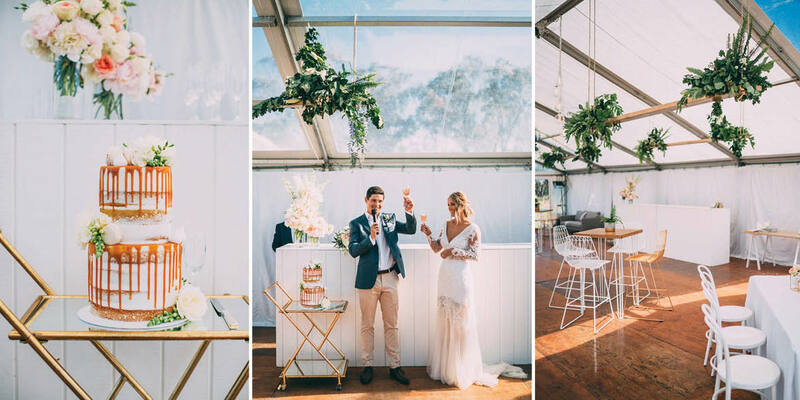 A simple but stunning clear span marquee, with lush greenery hung from the ceiling on recycled planks, at a breathtaking winery along the Bellarine Peninsula. 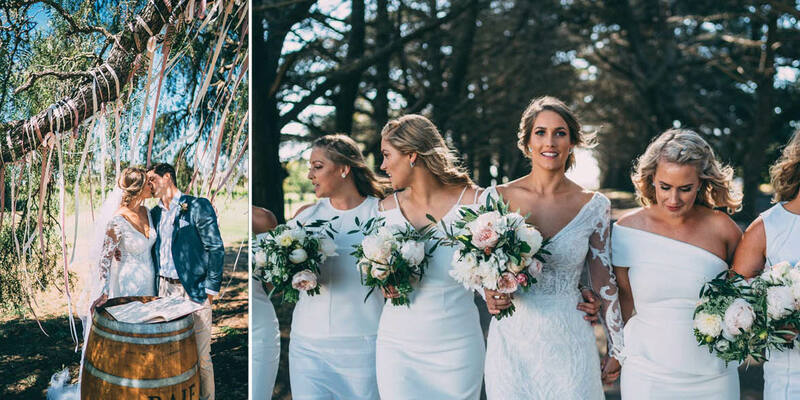 The sun streamed in across smiling guests as the couple toasted to their new adventures, looking out over a spectacular ocean view. Everyone celebrated and danced the night away, below the twinkly stars in the evening sky.